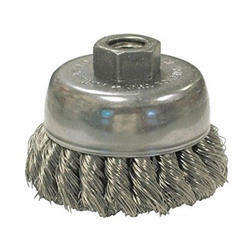 We offer an extensive range of industrial brushes such as cup brush,hard knotted brush, wire wheel, spindle brush, these brushes are available in different wires such as MS, Brass, Brass Coates, CS, and SS. 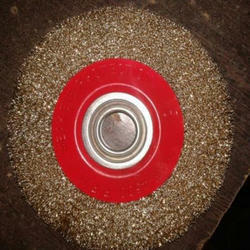 We are specializing in offering brushes in different sizes and variety. We are using top quality raw material sourced from reliable vendors is ensured to make certain that we offer nothing less than flawless product. 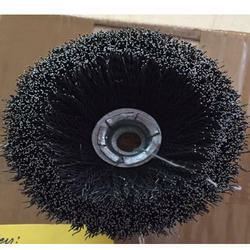 THE KNOTTED WIRE CUP BRUSH FOR DEBURRING, HEAVY CLEANING, DERUSTING, DESCALING, COMPATIBLE WITH VARIOUS POWER TOOLS. 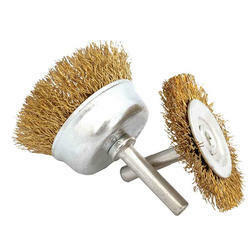 we are offering an exclusive range of Cup Brushes for industrial purpose. This range is manufactured by our skilled professionals, using genuine quality raw material in compliance with set industrial standards and norms. In addition to this, the offered range ideally suited for one hand angle grinders, bench machines and large angle grinders. These multi purpose cup brushes with crimped wires are ideally suited for one hand angle grinders, bench machines and large angle grinders. They are available in various sizes. Circular Wire Brushes of crimped wire with suitable keyway in stainless steel wire , carbon steel wire, nylon wire in various sizes. The offered wheels are sourced from most authentic vendors in the market and are precisely engineered using supreme grade metal and ultra-modern tools in compliance with set industry norms. We offer these wheels in number of sizes and designs in order to meet vast necessities of our valuable clients. We are offering an exclusive range of Knotted Brushes for industrial purpose. 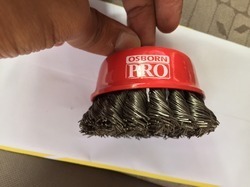 These knotted circular & cup brushes are made up by all-straight hard steel wire or stainless steel wires suit for heavy duty use such as removal of paint, scale & corrosion of all kinds and cleaning of weld-steams & spot welds. Available to fit on portable angle grinders, large angle grinders, pneumatic grinders & bench machines. 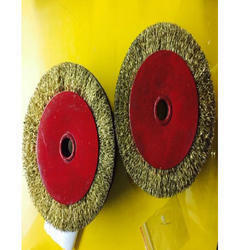 We are offering an exclusive range of Spindle Brushes for industrial purpose. This range is manufactured by our skilled professionals, using genuine quality raw material in compliance with set industrial standards and norms. In addition to this, the offered range ideally suited for one hand angle grinders, bench machines and large angle grinders. These multi purpose cup brushes with crimped wires are ideally suited for one hand angle grinders, bench machines and large angle grinders. They are available in various sizes. End Brushes with straight hard wire in Carbon Steel wires, Stainless Steel wires in various sizes. Spindled crimped wire brushes in various sizes.